You must be logged in to view Prices! The P90 soon came to attention of Mass media, including its computer game debut in the N64 game "GoldenEye" as the "RCP-90". 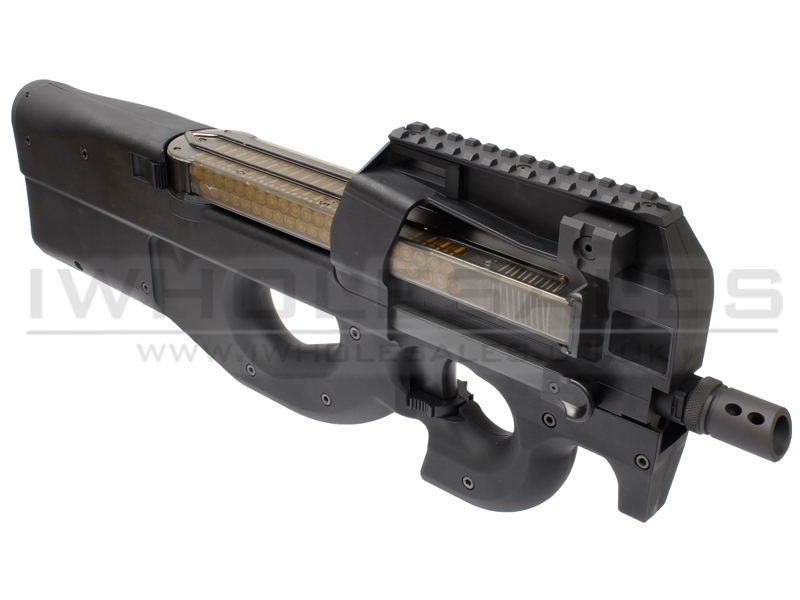 On television, the P90 was seen in the hands of the Stargate SG-1 team and on the silver screen it was most recently featured in the Hunger Games series. 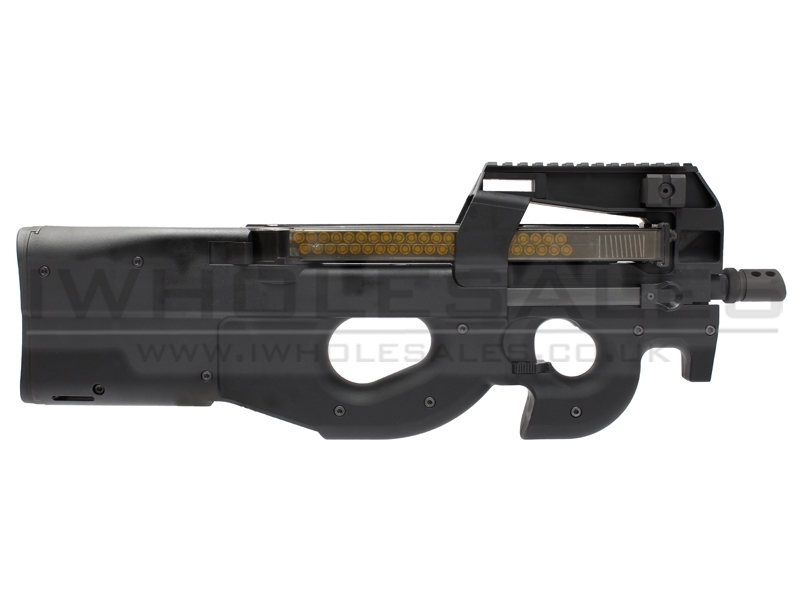 The We Model Company airsoft Gas Blow Back T.A. 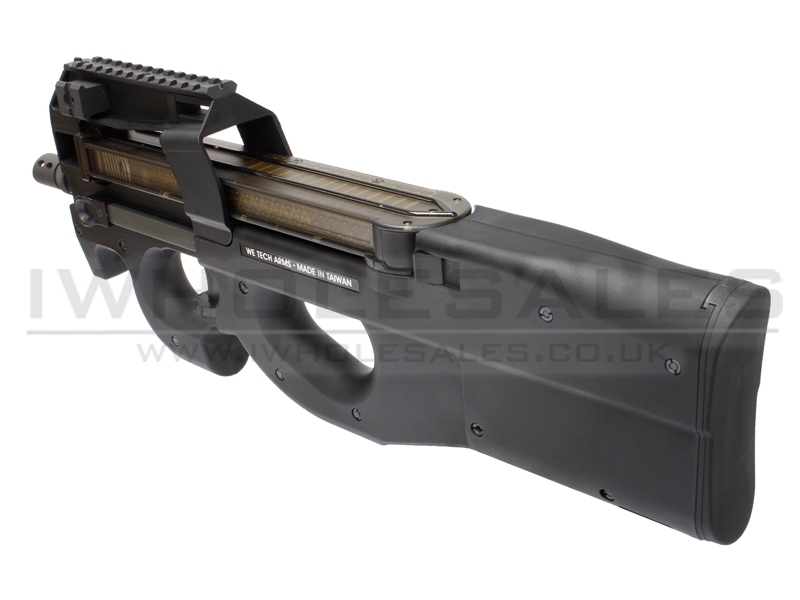 2015 is a gas blow back rifle with a top mounted semi translucent magazine. Each magazine holds 50 BB's and a large gas reservoir. The clip is carefully lowered and clipped into position and the BB's feed down into the rifle. 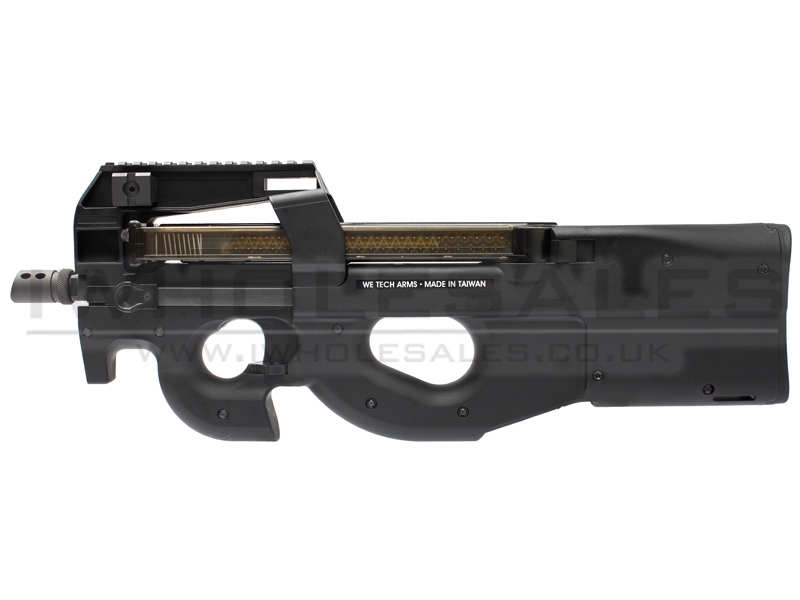 Semi automatic or full automatic firing modes can then be selected using the ambidextrous fire selector switch below the trigger. 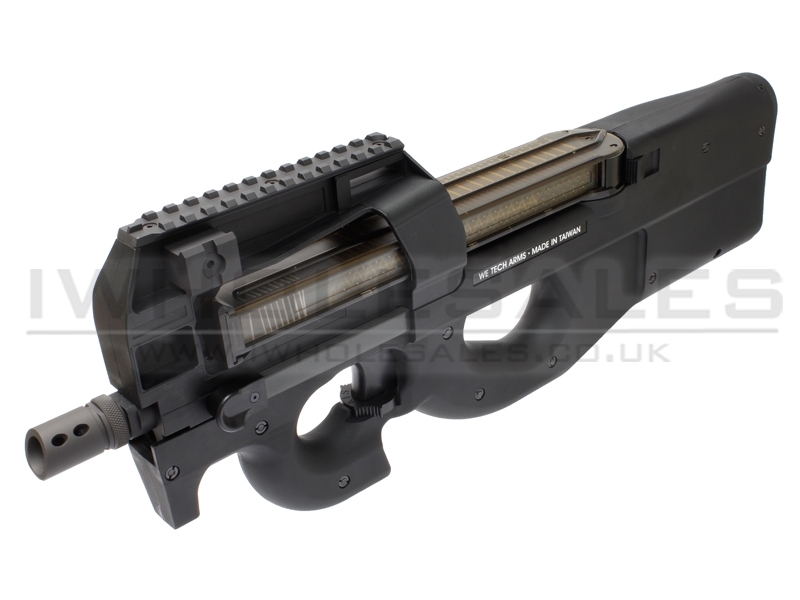 Several airsoft versions are available across the world and we have secured the Euro friendly version that has a muzzle velocity of 350 fps or less, making this version site legal for most sites in the U.K. and allowing access to key markets like Italy, without having to install an NPAS system or similar. 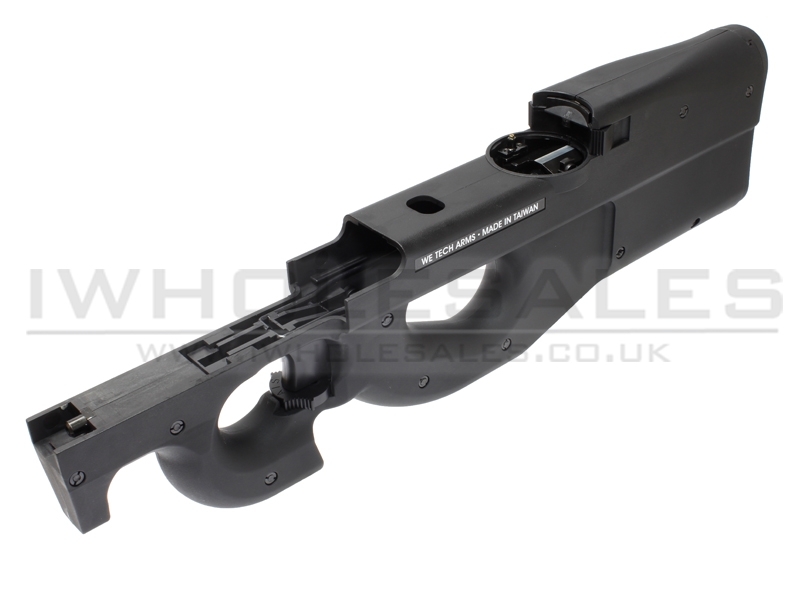 This version comes with the Tri Rail, and as such comes with a 20mm picatinny top rail, as well as two smaller rails on the left and the right side. 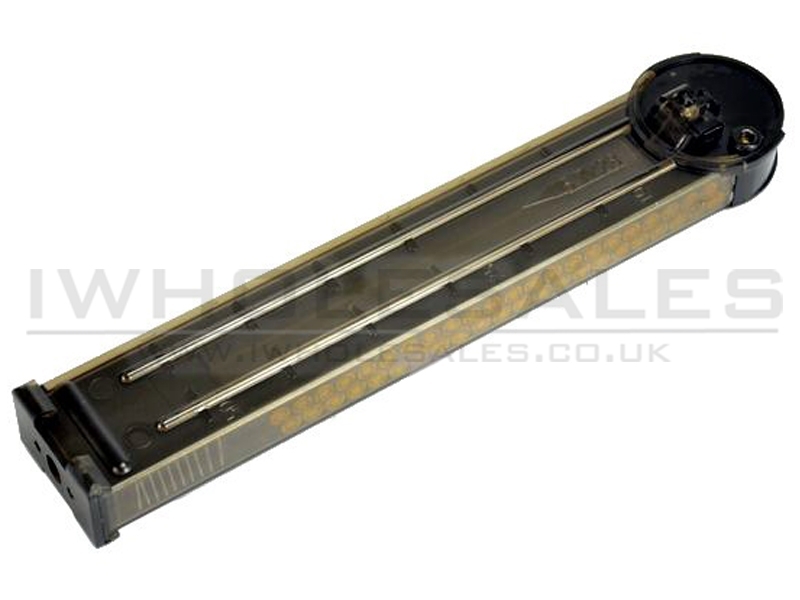 Perfect for mounting lasers and lamps and any other optics and accessories. 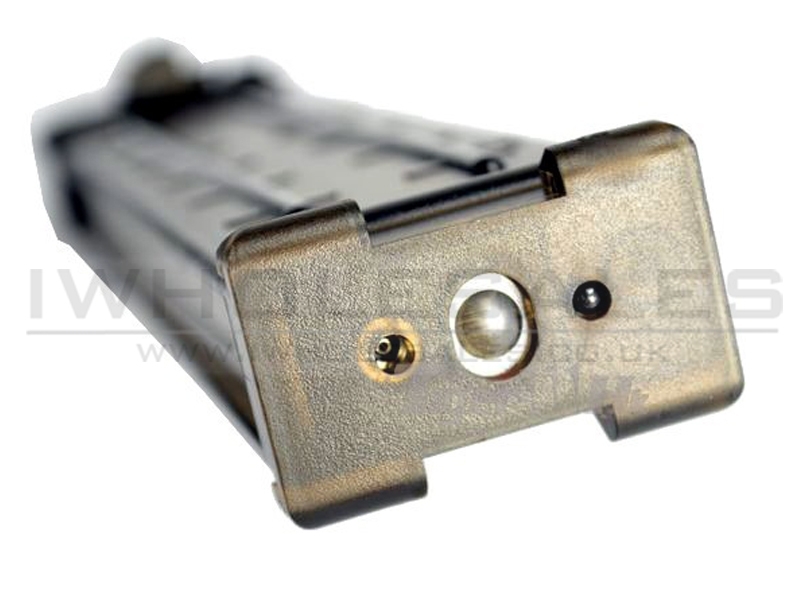 The upper receiver detaches easily for maintenance. The Hop up can be easily adjusted from inside the magazine well.